In July 2017 Malvern witnessed the end of an era, the closing of a chapter and the beginning of a new one for Lucy Jones as she closed up her shop on Great Malvern train station and headed south to the beautiful spa town of Bath. Shrinking Violet Bespoke Floristry, Lucy and her husband have now settled into their new lives in Bath and are loving being closer to their son and grandson. 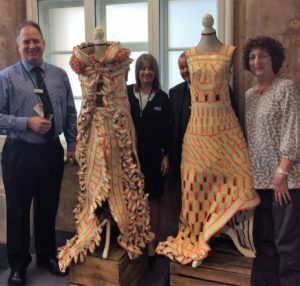 Lucy’s famous ticket dress and cape preceded them and can now be seen adorning Bath station, for a whole new audience to admire. 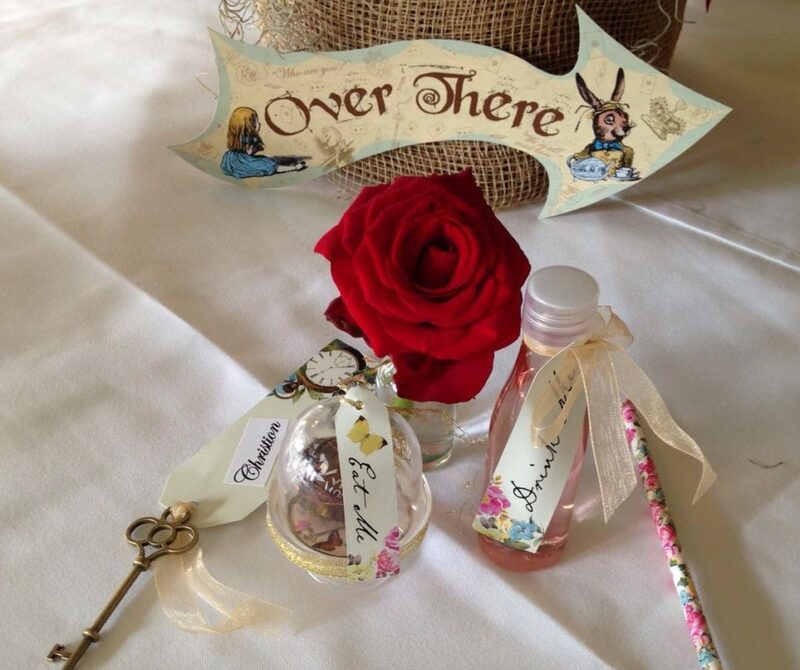 Shrinking Violet Bespoke Floristy is a project of love for Lucy and she producing beautiful floral creations for businesses and events in the Bath area. She has decided to focus her attention on catering to local business and corporate clients and producing displays for events and special occasions. Here we see Lucy and her ticket creations with the Manager and ticket staff from Bath train station. So follow our website and our Facebook page to see how we get on with our new venture.